Global Sources in Hong Kong – Oct 11th to 14th, 2018 – ABKONCORE Co., Ltd., a post-world leader in gaming and tuning hardware will participate in the Global Sources Consumer Electronics Show during 11th-14th October 2018. 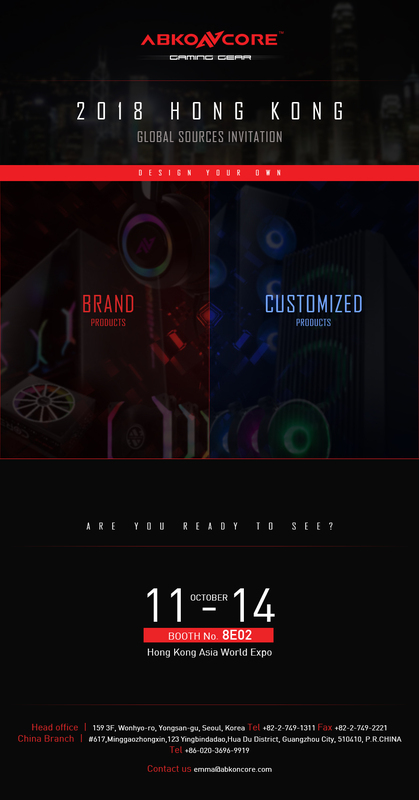 In addition to this, In this show, you will be able to see how ABKONCORE tries to lead gaming and tuning PC market in the world with the full range of ABKONCORE Brand and OEM products. Also new products such as spectrum fans with sync function and the control hub which can control up to 14 fans simultaneously will be available.